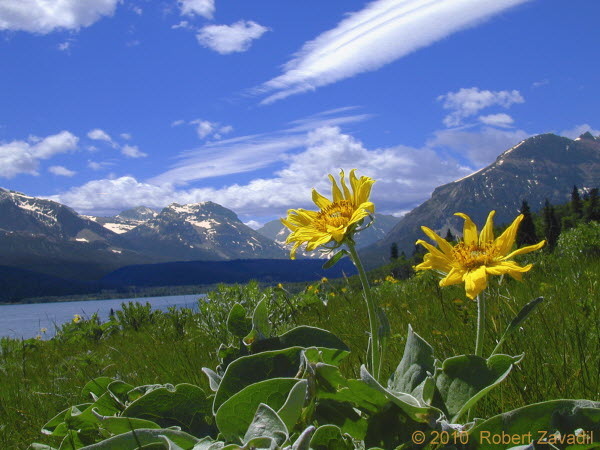 Balsamroot grows at the lower elevations in Glacier National Park and blooms profusely in open sunny areas. It is shown here in this photo in the Two Dog Flat area along St Mary Lake. These open meadows were named after the trapper Two Dog who in the late 1800s had a cabin on Rose creek, in the vicinity of the present day Rising Sun Campground.